Several years ago, former fourth-grade teacher Tracy Johnston Zager took an informal survey of two groups of people to find out how they feel about math: mathematicians and teachers who teach math. She discovered that while mathematicians used words like “beauty” and “wonder” to describe math, teachers recalled “dread” and “fear.” These words aligned with what Zager had observed in her job mentoring student teachers who expressed similar reservations about math. Teachers’ sentiment toward math is noteworthy because research has shown that adults can transfer anxiety to kids. Zager traveled around the country observing and interviewing outstanding math teachers, and recently published a comprehensive book that invites teachers to reconsider how they think about and teach mathematics. In Becoming the Math Teacher You Wish You’d Had: Ideas and Strategies from Vibrant Classrooms, Zager strives to motivate teachers to replace the procedural and uninventive methods of ordinary math instruction with approaches that celebrate pure mathematics, with all its creativity, intuition and risk-taking. And what is it true mathematicians do that the teachers should try to emulate? Mathematicians take risks, make mistakes, demand precision, rise to challenges, ask questions, connect ideas, use intuition, reason and prove—habits of mind that can be taught and learned in math classes. Zager introduces us to several exemplary teachers who find a way to do that, offering readers practical techniques to build the kind of classroom that embraces true mathematics. Zager’s book is divided into 13 chapters, each of which explores a different characteristic of a mathematical mind, and then follows up with stories of teachers who work to instill these qualities in their students. “These teachers aren’t superheroes who were just born this way,” Zager cautions. Rather, they are mere mortals, all working with different populations of kids, who have honed their practice over the years through professional development, coaching and teacher inquiry. What unites them is a common desire to be more effective at their work. Nichols then asked students to select the four questions that would help them learn best, and continued to provide guidance and instruction as they probed deeper. Recognizing that students’ understanding of shapes was too limited to answer the questions they posed, she provided students with geometric materials like blocks and tiles to help them make sense of shapes. Midway through the unit, and then at the end, Nichols asked students again to think what new questions they might have. This focus on student questions, Zager writes, ignites their curiosity and spirit of inquiry, which are essential features of mathematical thinking. Another teacher, Jen Clerkin Muhammad, encourages her fourth-grade students to make connections between various concepts. Among other reasons, connecting one idea to another builds on what’s already understood, establishes links between apparently unrelated subjects, and helps students apply mathematics to the real world. Muhammad recognizes that seeing problems solved in multiple ways promotes deeper understanding, and expects students to explore many representations of the same problem. In one class, for example, Muhammad asked students to draw a picture of a multiplication problem—if Darlene picked four apples, and Juan picked four times as many, how many does Juan have?-- and then to walk around and examine others’ representations. “Where do you see the four times as many in this representation?” Muhammad asked her students. Seeing varied perspectives on the same problem enhances student understanding of the essential concept and builds new connections. Shawn Towle, who teaches eighth grade in suburban Portland, prods his students to debate their ideas. Such verbal give-and-take is inherent in mathematical discovery, and Towle challenges his students to take positions and then defend them. In one project, Towle gave students a math problem involving a spinning game and asked them to consider whether the problem is fair or unfair, and why. He then divided the class into like-minded groups and asked each group to clarify their reasoning. Students moved back and forth between groups, and then debated each other one-on-one. This student engagement in mathematical disputes, defending and then abandoning or sticking to their reasoning, resembles the way many high-level mathematical discoveries are made: through a blend of solitary work, collaboration and disagreement. In some ways, these classes represent what Zager wishes she had in school. Zager had her own experience in middle school when she felt humiliated in her algebra class for questioning the possible outcomes of a math sequence. In her book, she surmises that her teacher responded in a closed-off manner because he was emulating how he had been taught. In Zager’s case, though, the experience didn’t deter her from math, but encouraged her to find the root of that reaction and the anxious feelings she saw in the teachers she mentored. 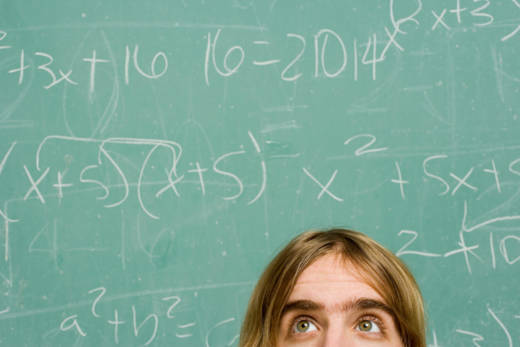 Many teachers suffer from the same math anxiety and general discomfort with the subject as their students. Thus, changing the way they think about and teach math won’t come quickly or without work. “It requires cognitive and emotional work to relearn and have a better way to teach mathematics,” Zager said. But just like their students, teachers benefit when they approach their own work with a growth mindset. Teachers like Shawn Towle should inspire others who want to shake up the way they teach mathematics but who feel reluctant or afraid, Zager said. Having taught using traditional methods for 14 years, Towle took part in professional development that opened his eyes to new pedagogical tools, which he then shared with colleagues. He piloted a program called Connected Mathematics Project, and went on from there to find more ways of returning creativity and wonder to his math classes.